Sometimes we'll have to create a one-time availability for certain situations. Maybe a dentist needs to work on a day that they usually wouldn't or in a location that they usually wouldn't, and it is only happening once. We have created a way for you to add availabilities without affecting the original period templates. Here's how to do it. 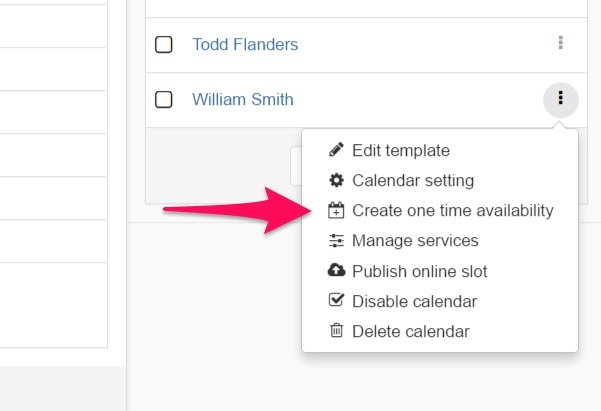 Find the calendar you wish to edit, click on More and then click on Create one time availability. Click on Save Changes once you have selected the correct information. 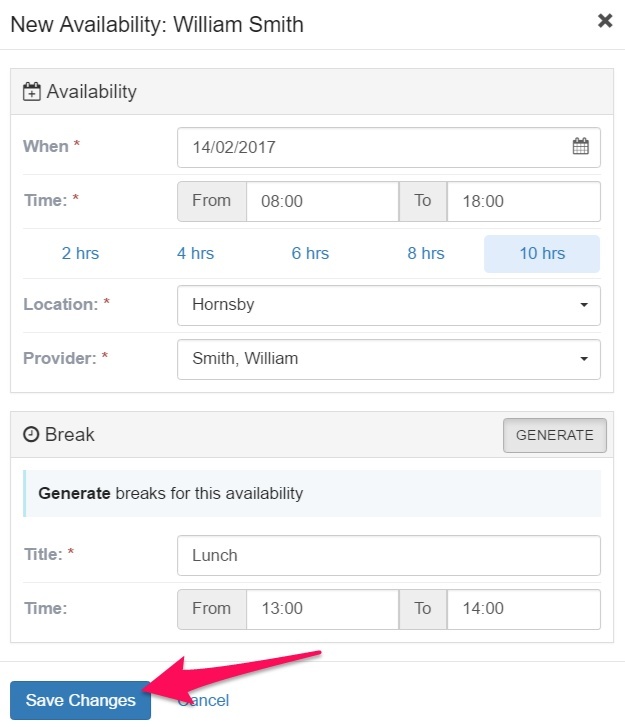 You can click on "Generate" if you choose not to have a lunch break in this availability. Repeat these two steps for all the one-off availabilities.